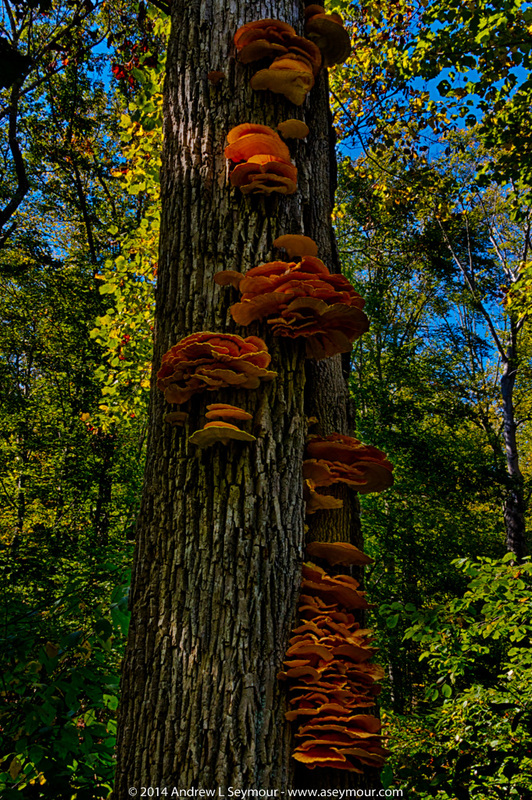 A couple of days ago, I was walking through this area of Struble trail, and saw this series of large orange tree mushrooms. 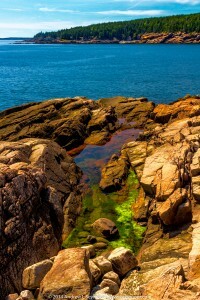 Unfortunately, I did not have my tripod for the required shot that I had in my head. 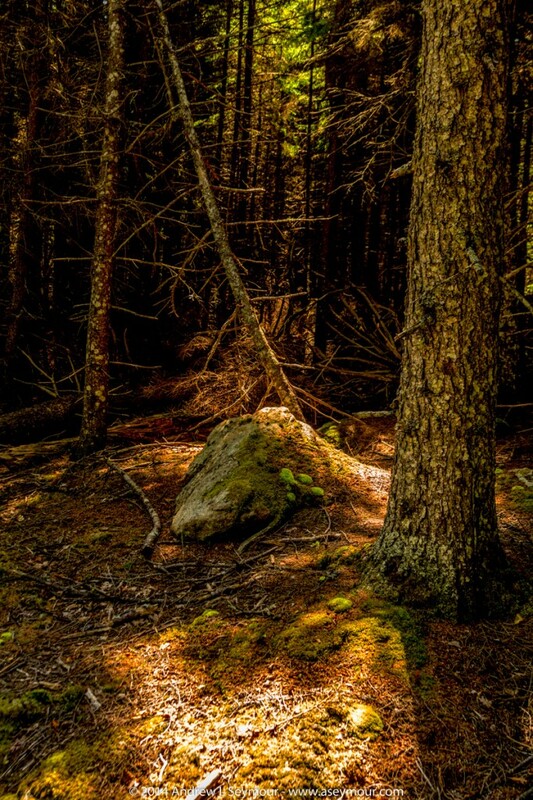 This is a series of (3) exposures for the HDR work, but shot at F22 with my Canon EF 28-135 IS USM lens. 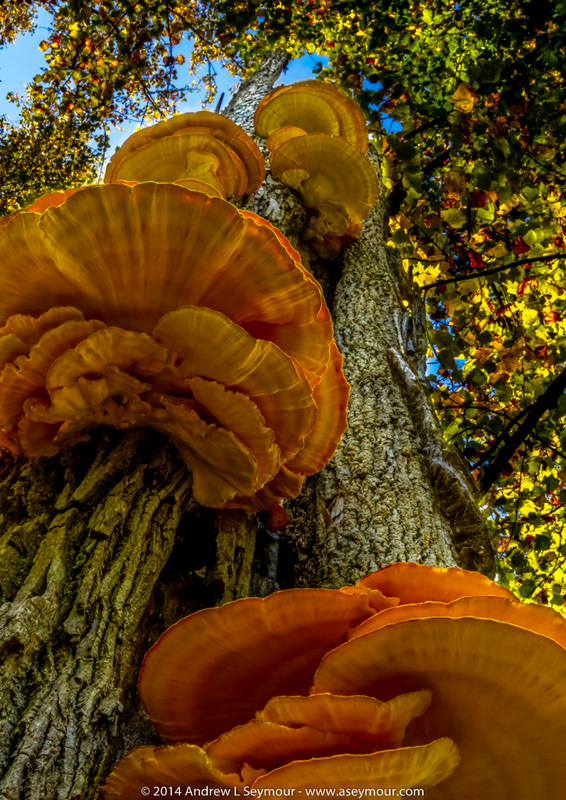 These specimens range in size. 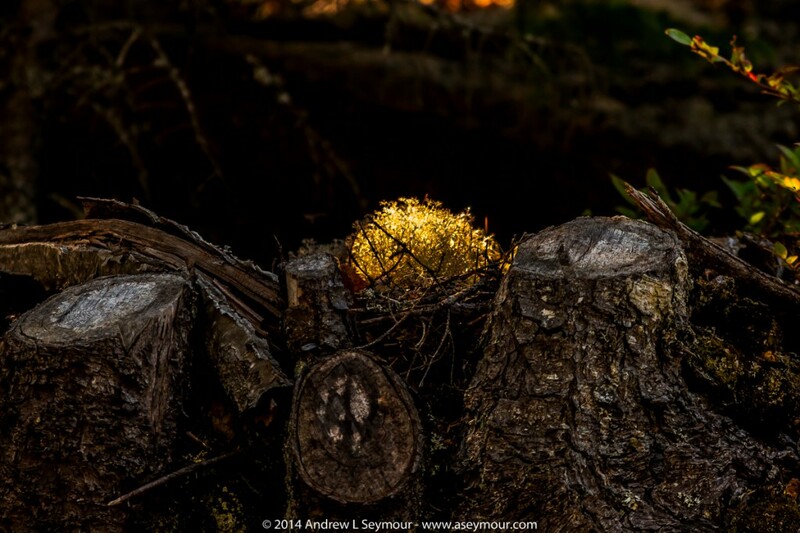 The one on the left, mid frame, is easily 12 inches long! 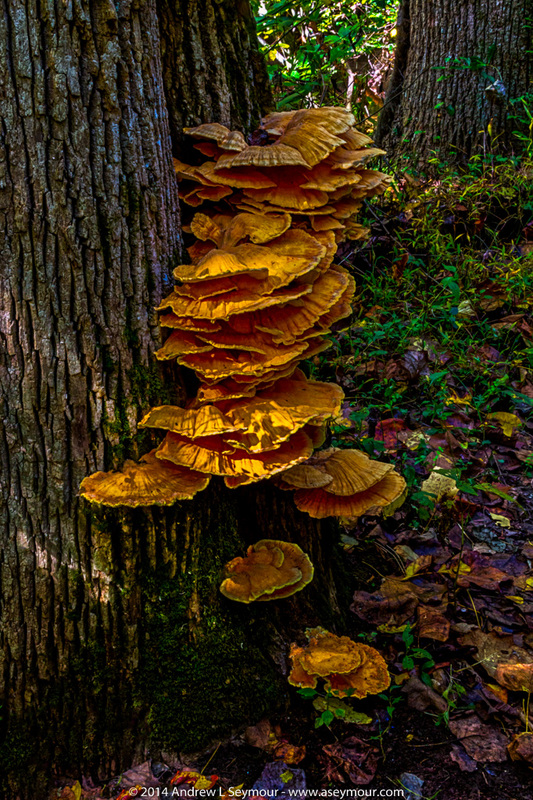 I’m also still trying to identify this species of tree mushroom, so if you know, please contact me! 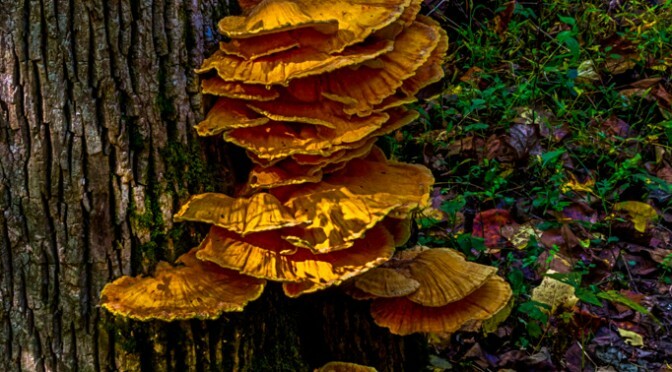 2014-Nov-26 16:48 – Having now skimmed through several of the References listed, I think this is either an “Artist’s Conk, Artist’s Bracket, Flacher Lackporling” Ganoderma applanatum (Fomes applanatus) or a “Sulfur Shelf, Crab of the Woods, Chicken of the Woods, sulphur polypore”, Laetiporus sulphureus (Polyporus sulphureus). 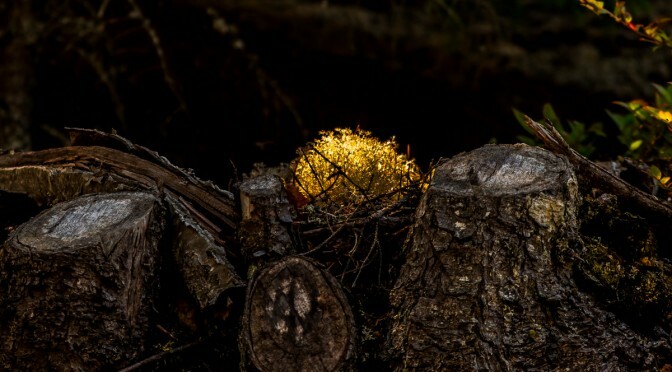 2014-Nov-28 17:03 – By request, I have added another images of these specimens . 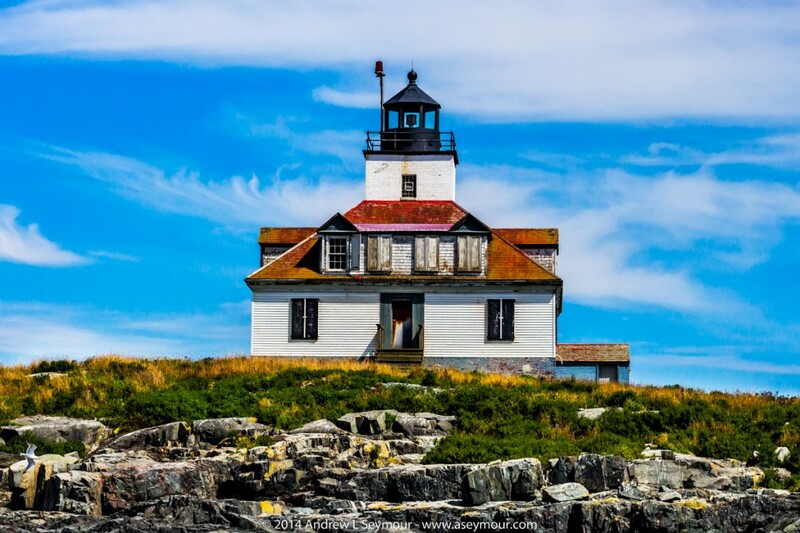 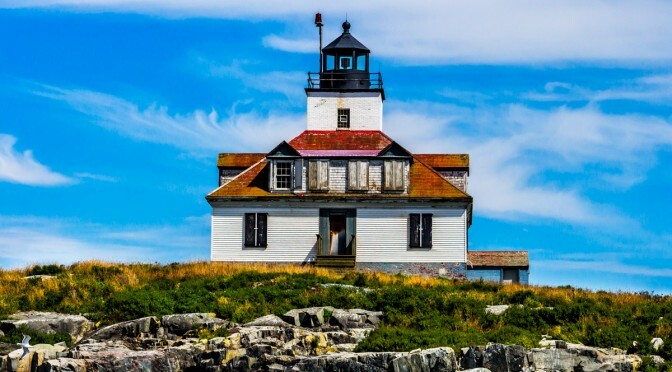 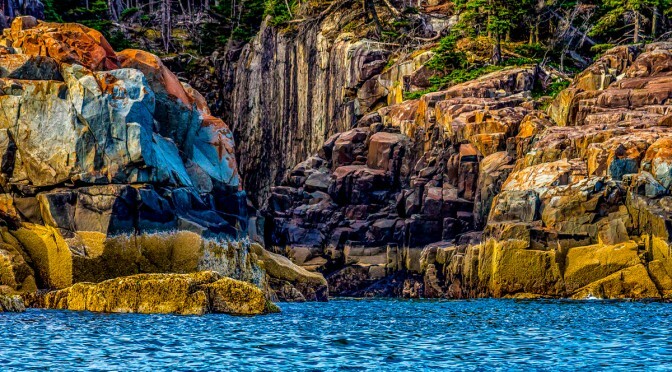 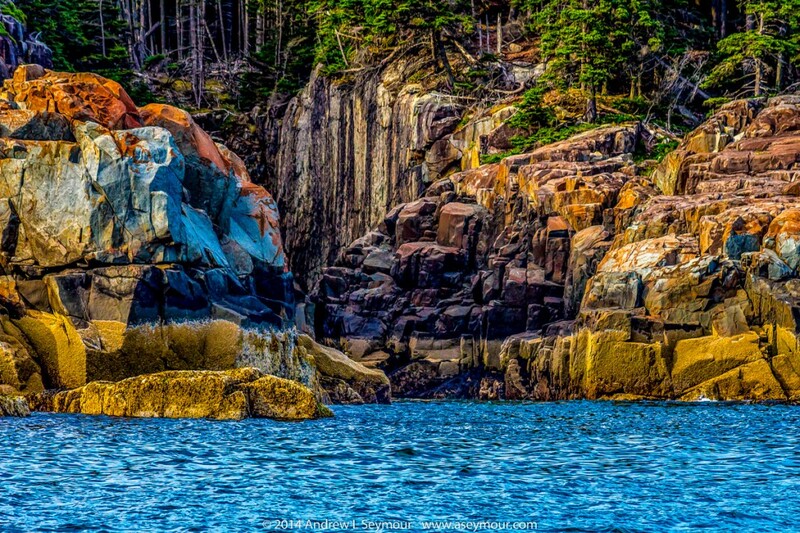 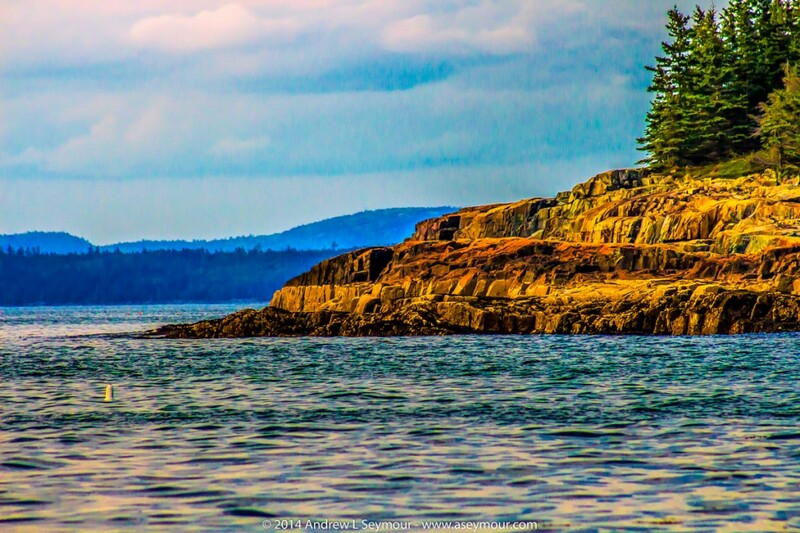 Images taken of the Eastern coast line of Ironbound Island, near Seal Cove in Bar Harbor, Maine USA. 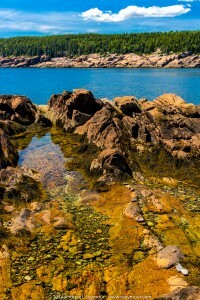 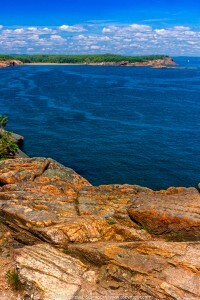 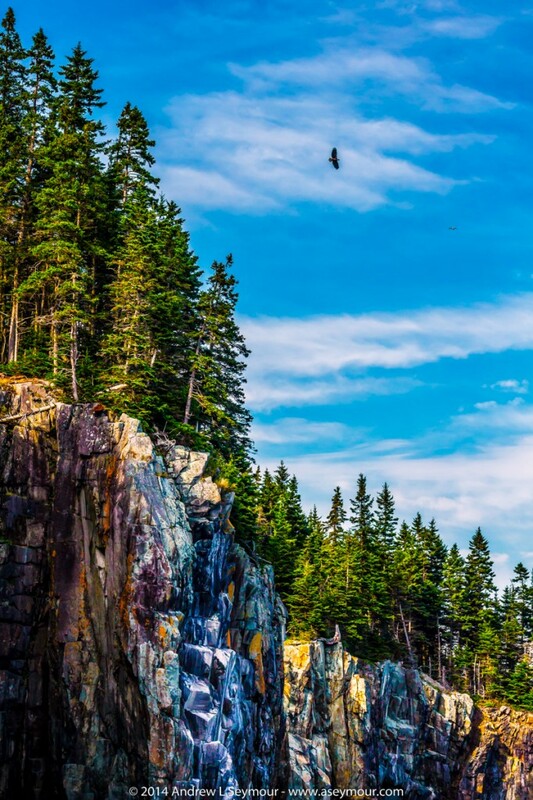 Images taken on Park Loop Road along Otter Point, Acadia National Park, Maine USA. 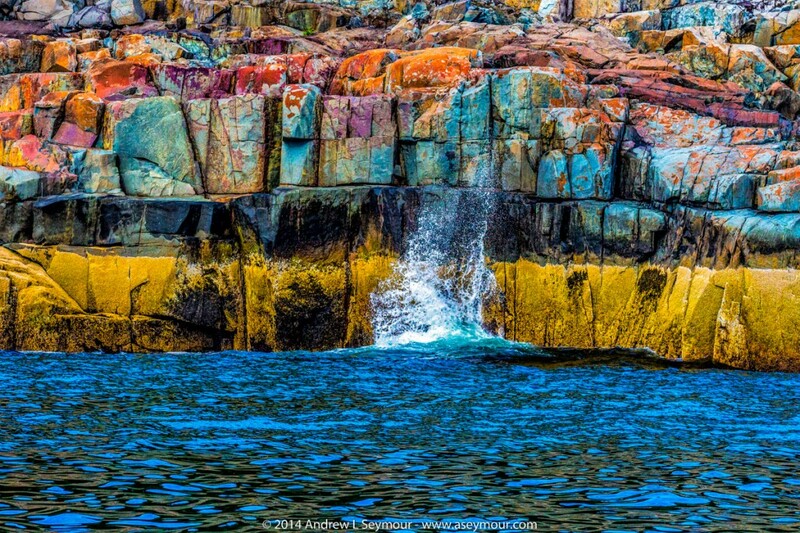 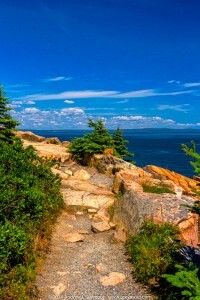 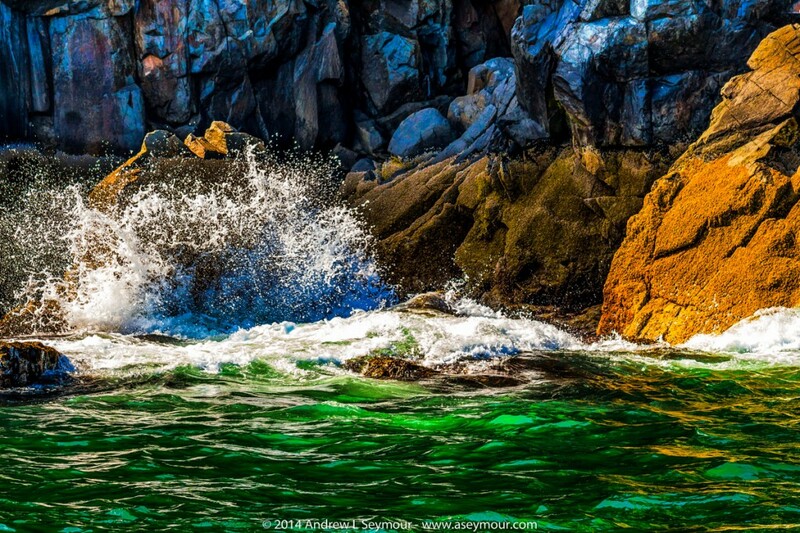 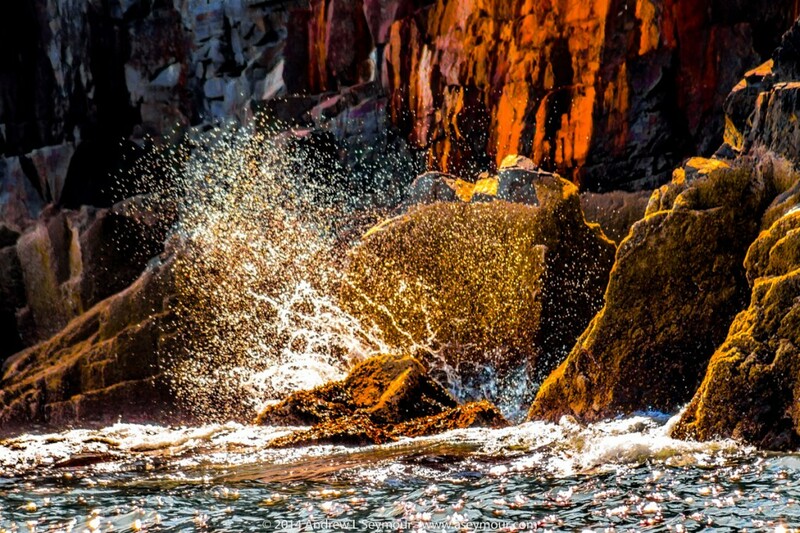 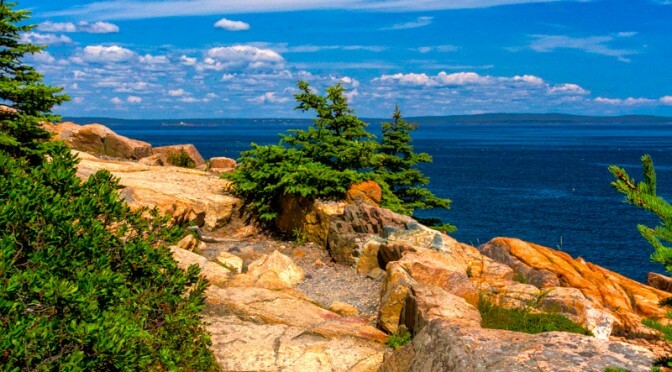 Images taken on Ocean Path along Otter Point, Acadia National Park, Maine USA.